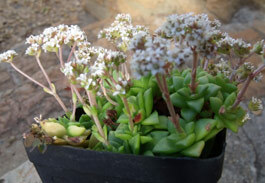 Crassula socialis is a small attractive succulent plant, especially when the dainty white flowers are present in the spring, and it is a good addition to rockeries or rock gardens. Crassula socialis is a small succulent perennial, up to 60 mm high when in flower, which forms dense cushions of numerous rosettes. The rosettes are made up of four rows of leaves (4-seriate), and are between 15 and 20 mm in diameter. The leaves are flat, 4-7 x 4-6 mm, with an ovate to almost circular shape, usually pointing downward and with a red flush. The inflorescence is slender, sometimes branched, 30-60 mm long. Each flower is white, cup-shaped, and the petals are 2-2.5 mm long. Flowering time is in spring (September-October). Rare (Red List of South African Plants -- Raimondo et al. 2009). Crassula socialis is known from only four localities, but its habitat is inaccessible and more may be found in future. It is not facing any threats. This plant is restricted to the Eastern Cape and has a very limited distribution between King William's Town and Kommadagga. It is an obligatory cremnophyte, meaning that it only occurs on cliffs where it grows in rock crevices, which are usually south- or south-east facing. The name socialis is Latin and means in colonies or social or companionable, and refers to the clustered rosettes. The genus Crassula is enormous, with over 200 species, 149 of which are present in southern Africa. It occurs throughout Africa, in the Middle East, Madagascar, Australia and New Zealand. Crassulas may be annuals or perennials, woody or herbaceous, and some have underground tubers. They range greatly in size, with some so small they are barely the size of a fingernail, such as C. corallina, to large shrubs nearly 2 metres tall such as C. ovata (jade plant, karkay). The most noteworthy member of the genus is Crassula multicava (fairy crassula, skaduplakkie) which is arguably the most used species in gardens. The genus Crassula is divided into seven groups. 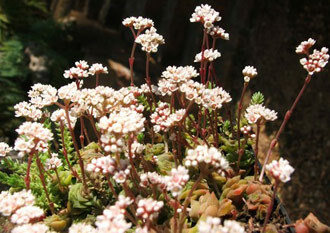 Crassula socialis is a member of the first group, which consists of plants that have rosettes with symmetrical leaves. Crassula socialis is insect-pollinated. After pollination the fruits develop. These are tiny follicles, which are dry, dehiscent fruits that develop from a single carpel and look rather like pea pods. They split open, releasing the seeds, which are small and fine, the size of specks of dust, and are dispersed by wind. 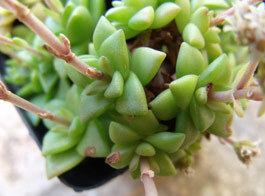 Like most other crassulas, Crassula socialis has the ability to survive damage and if a piece of the plant breaks off and falls onto the ground it will root and grow. 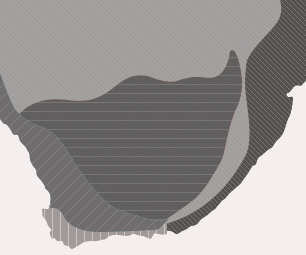 The species is also adapted to growing on cliffs, which keeps it safe from most plant predators and would-be collectors. Due to its succulent nature and its adaptation to grow in rock crevices it is able to cope with prolonged periods of hot and dry conditions. As a result of its rarity and inaccessible habitat this species is relatively unknown and seldom seen in cultivation. In view of its appealing appearance it should become more common in cultivation in the future. Crassula socialis, like many other members of the genus, grows easily outside its natural habitat. Grow it in semi-shade in well-drained, preferably shallow soil. Keep it in pots until it forms clusters. The growth medium may be peat/sand mix or an inorganic sterile medium which will require fertilizing and watering. Add grit to the compost to improve drainage. Water twice a week, fertilize once a year. They should be lightly watered, even during their summer resting period, to prevent the soil becoming too dry which causes the roots to die back. For best performance they should be repotted once a year. Remove old inflorescences and dead leaves. This crassula is ideal for rock gardens, stone walls, retaining walls and small empty spaces. Plant them in areas where they do not have to compete with other plants for space or where there is risk of them being smothered by larger more vigorous plants. They don't require large amounts of water and are highly suitable for water-wise gardens. C. socialis, like many other members of the genus, is very easy to propagate. The best method is vegetative propagation. Take cuttings by removing a single rosette, and plant this directly into the soil. Handle the cuttings with care as they are brittle and easily break apart. A medium of gritty sand and sifted peat is the best to use, but the plants thrive in most media with adequate drainage. Water them twice a week. Grow them in partial shade as they suffer if they are overexposed to sunlight. They may be propagated throughout the year but the ideal time is during their growing season which is in winter from June to October. 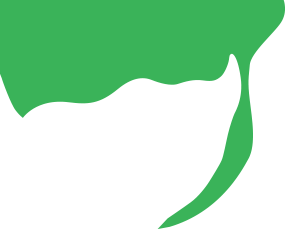 Main pests are mealy bug, snout weevil and aphid. Main diseases are caused by fungi, such as rust and black or brown rot. Deal with these by applying systemic pesticides and fungicides. Higgins, V. 1964. Crassulas in cultivation. Blandford Press, London. Rowley, G. 2003. Crassula, a grower's guide. Cactus & Co.
Tölken, H.R. 1985. Crassulaceae. Flora of southern Africa. Botanical Research Institute, Pretoria.